Follow @mcphoo Tweet Two questions: Do you do "active recovery" as part of your workout practice? Do you include eye workouts as part of your practice? To the second question first: if you don't yet do formal eye workout practice, that may be based on a belief that our vision quality is fixed, or that change can only happen in the negative, and eyesight only get worse. Well why would this one part of the body be different than every other part where we are maleable/plastic and where deliberate practice helps performance? And if some stuff is fixed, there seem to be other parts of vision that are sufficiently cognitive and that can be improved through practice that our visual acuity can improve through work, given enough reps. Indeed, here's a question: might glasses be seen as orthotics of the eye? A critique of orthotics is that they use an appliance as a near permanent mechanism to address some "fault" in one's gait, rather than doing the movement work to address the issue (if it is an issue). 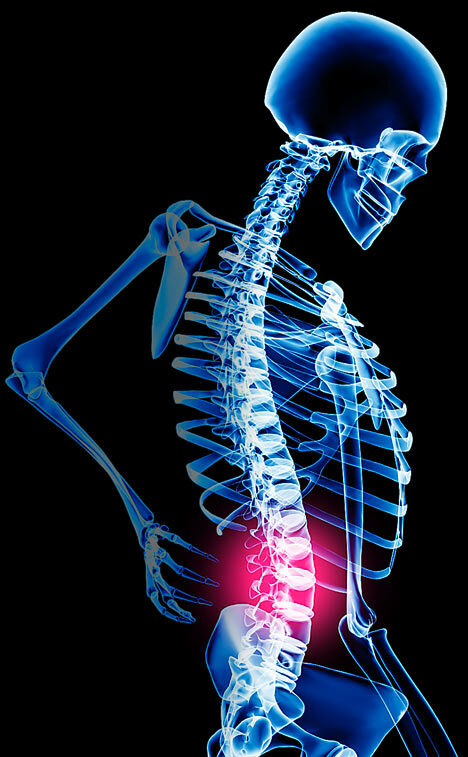 The orthotic used this way assumes really that we are not plastic, that a chronic condition is fixed by perpetual appliance use; it is not imagined where the issue addressed at the foot by the orthotic may stem from and be addressed at another location or locations, and that chage is possible. Chat with someone with orthotics and see if they think their orthotics are temporary while they do work to improve their foot found issue or permanent. For b2d readers who may have done work to shuck the shodded way, can we imagine translating this way of thinking to vision work and self-spectacling. Can we now re-member our plasticity in vision. And will doing so make us stronger? Not just spiritually, but physically. If thinking about eye practice is new, let me tell you about how/where I put eye practice into my workout space: it's my new active recovery between sets. If you do strength work in particular and have longer recovery breaks between sets, what are you going to do? Some work suggests that keeping moving between sets - not just stopping cold - is a great idea; or likewise after some physical activity, do some kind of warm down to "recover". So called active recovery. The jury is out it seems on the benefits of active recovery: after a soccer match, active recovery didn't do much for elite women players (ref 1, below) but keeping the heart rate up between sets of resistance training seemed to help eliminate DOMS (ref 2, below). Not a huge endorsement of active recovery, is it? There are two other articles in this space: one shows that blood lactate is cleared by active recovery - to which i say, so what? This article was written at a time when blood lactate was still thought to be in some circles a contributor to muscle fatigue (ref 3, pdf), and not actually as is more the view now (see anything by brooks), another muscle fuel, so clearing it, not such a big deal perhaps; muscle recovery is more about calcium leaking etc etc. And proof in the pudding: another study that looked at post match performance this time by guys playing rugby had no physiological benefit (ref 4)- it didn't harm performance but that's not the same as saying it benefited physiological performance. It did have a psychological benefit, of helping athletes to relax in the post-whole-game context. Where i've been looking at active recovery is to explore this relaxation-as-recovery between sets when lifting weight. Especially on "heavy" days when my goal is more good reps; fewer fails on near max efforts. Hence eye work. The main activity is in the eyes, and to have good eye responses means relaxing the eyes; relaxing the eyes seems also to have a soothing effect on the body, not to say relaxed to the state of cooked noodle, but toned down. It is to de-effort the body while deliberately practicing a skill, in this case, vision, which also requires de-efforting (overview of eye work relaxation practice here). Prep for Next Rep. Eye work consequently seems super for real, between-set physiological recovery. Relaxing the eyes, getting clearer sight seems to correlate very nicely with readiness for next rep. I am keen to wire this up for repiration, muscle activation, heart rate etc, but raw checks, coupled with successful rep performance, and record of perceived exertion seem to suggest something good may be happening here. So do what in the recovery break? My focus is on better faster focus at distance (seeing more clearly, consistently, faster, from further away). So what I do is hang up two different vision charts, side by side, scald for where I stand away from these charts in a room. using an eye chart (c.o./ i-see.org) set up on an ipad when working out on the road. I'll do my set, log it, and then look at a chart (or more recently (a) try to look THROUGH the chart, past the letters and (b) NOT try to translate the glyphs to letters in my head. That is to avoid saying that's an D that's a C) during my recovery and often wait for the chart to come into focus. 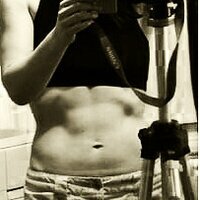 Spending on the workout, recovery may be 30secs to three minutes. I don't put a clock on this, but when I log my set, I have a button that I hit to time stamp the set, so I'm fascinated by how recovery is felt in my body seems to correlate largely with expected times. Eye movement can help improve focus/visual clarity, in that the movement seems to help bring a chart into better focus, faster. To trigger such movement, I'll look at a line on one chart and look at a line or letter on a line in the other chart, doing a type of saccades work, going back and forth. I'll also use orientation, so align myself side on to the chart, and turn my head to the chart. What I keep noticing is that my head position has an effect on what my eyes are doing. Surprise, eh? But it's not a consistent effect. Sometimes tilting my head back seems to improve focus; sometimes it doesn't. What I wonder is if the quality of focus achieved is related to how effectively relaxed or recovered I may be. I don't know why these differences. But there they are. Many options, like many lifts; many ways to practice vision. A quick note about vision practice. I'm describing one type, like one might work on few strength movements. There are a range of practices around vision like target acquisition, like practicing range of motion -- stretching the main six eye muscles by exploring focus change of near far or extreme ish ranges. Also Eric Cobb at a Speed course introduced a bunch of us to Contrast Sensitivity and more recently similar training of same. Yes there's even an app for that. I admit i haven't practiced with the app because i work out in a room that has daylight streaming in. In the UK, where it goes from cloudy to fleeting sunny, i do get quite a bit of contrast sensitivity work - no kidding - just from the dynamic lighting conditions both as time passes - so sun angle - and from changeable light conditions. 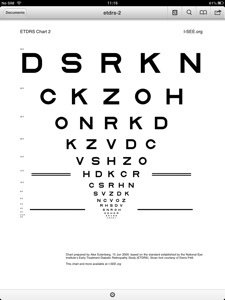 If you want to see the difference light makes to visual acuity, give yourself a treat and make sure you try a snellen chart on white paper experience in bright sunshine. Amazing. Something I notice from time to time and don't know what's going on with this, is that as the chart comes into focus - so seeing better - there will actually be pain in the eye, like an eyelash poking right in or across the eye, and I have to close my eyes to recover. I hate this. I hate losing that clarity. What is that pain? Is it change? Is it not enough warm up? What is it? Why is it? Doesn't happen all the time, and I don't yet have a pattern for consistently invoking this (this is not eye strain by the way, and my eye exams are fine: no monster hiding in brain or eyeball). What I've noticed from eye work practice is that I can perform seeing better, more effectively because I've learned that if I give myself time to focus, I can often see stuff, at least for longer periods, sufficient to do sense making. What has been interesting to see improvement is being able to read slides during presentations better. These are live tests of all sorts of things, from contrast to color to font effectiveness - as well as time: how quickly can i get a fix on the slide to read it before it's changed to the next slide? It's the fact that i have gone from not reading slides - letting them wash over me - to getting more from them - that gives me a sense that there is some cognitive adaptation occurring if not physical adaptation occurring. Amazement: i can see clearly now - at least for a moment. What amazes me still is that in my practice, I have these moments of utter clarity, alignment, pure focus. It's a beautiful thing, and I see lines on the chart that are smaller than ever. Wow. Easily. For moments. What is that? It shows me that I can see well. It suggests to me that something is happening with my brain and vision to be sure. What's happening is still er, unclear, to me. But it does happen, and my naive goal is to have that happen more and longer. Recap: Eye workouts as active recovery. Recovery time in between workout sets seems tailor made as a space to carry out vision practice, whether this is for range of motion work, near far drills, or what i've been doing: working on visual distance/focus performance. Anyone, it seems, can do vision work and likely all of us can benefit from it, just as we do from active mobility. If you have 20/20 vision, why not go for 20/10? Or work on saccades speed? Saccade work is in no small part about target re-acquisition - which in turn can be a big part of sport performance. Like running down a field and having to look away from that frisbee in flight and then re-finding it to catch it. Focus change speed is also a good one. If you want to explore this space of recovery, why not hang up a few charts - change the space between them - and use that recovery period between sets for doing some vision work? Again, i've just touched on one aspect of vision training. I'll be keen to hear what you discover after a month of practice, not only in your sets, but in your daily vision experience. let's see - the paper ones i print off from the link under the chart in the post - lovely, generous site. And i size them for distance to be used when printing. The charts i have purchased are iphone/ipad aps like visual acuity from kybervision and variable contrast by focus brite.